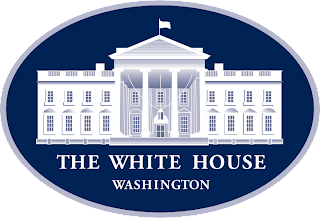 If you followed my blog or SheppyBrew's Facebook page in the autumn of 2012, you may have caught that the White House emailed me two home-brew recipes (see White House #HomeBrew Recipes on my blog). Both recipes were extract batches, and as of the time that I entered this recipe, I had not seen all-grain versions posted. They may have been out there, I just had not seen them. I decided to convert the recipes to all-grain. I had already posted the Honey Porter recipe back in September. I only got around to the Honey Ale recipe in November. The recipe that the White House sent out left some room for interpretation, but taking some liberties, I came up with in an all-grain conversion. When I first converted this one, I didn't think I'd ever brew it, but finally in February of 2015, I decided to give this a try. I did resize my batch by about half to a Mr. Beer Sized batch. Bought ingredients today. Should brew this weekend. Brewed Saturday. Been going well. Lots of trub in this batch. Bottled today. 2oz of table sugar. FG higher than I expected at 1.018. 5.8%abv. Sample was pretty good. Lots of yummy fuggle flavor. Will probably let these condition more than just the typical 2 week carbonation period. Ack ... sorry 6.1 on the abv. Put on labels. Also put 6 12oz bottles and the PET in the fridge. Will probably try this weekend. Tried the liter bottle. Pretty good. This is the type of beer the Beer Model will probably like more than I do. Inconsistent carbonation is the only real issue with this beer. Had a bomber. Tasting good tonight. GoBlackhawks! Had what I think is my last bomber. Good. Lets go Blackhawks. I thought I had some of this, but I think it is gone. Won't make this again.